Don't use the new Edge browser as a production platform quite yet, though the performance is surprisingly good. You can peek at Microsoft's big plan to move Edge to open-source Chromium code, if you're a developer or enthusiast. The company is making the first alpha builds available on Monday. In December, Microsoft said it would begin migrating its Edge browser to Chromium, the underlying open-source platform used by Google Chrome, Vivaldi, and some other browsers. The result, Microsoft said then, should be greater compatibility with Chrome extensions. Microsoft’s Edge on Chromium browser had previously leaked, with early builds available on file-sharing sites—though without Microsoft’s official endorsement, users downloaded at their own risk. Now, Microsoft has made the new browser available from its Edge Insider program, a version of its Windows Insider program specific to the Edge browser. Don’t expect much. In a blog post, Microsoft corporate vice president of Windows Joe Belfiore wrote, "in these first builds we are very much focused on the fundamentals." 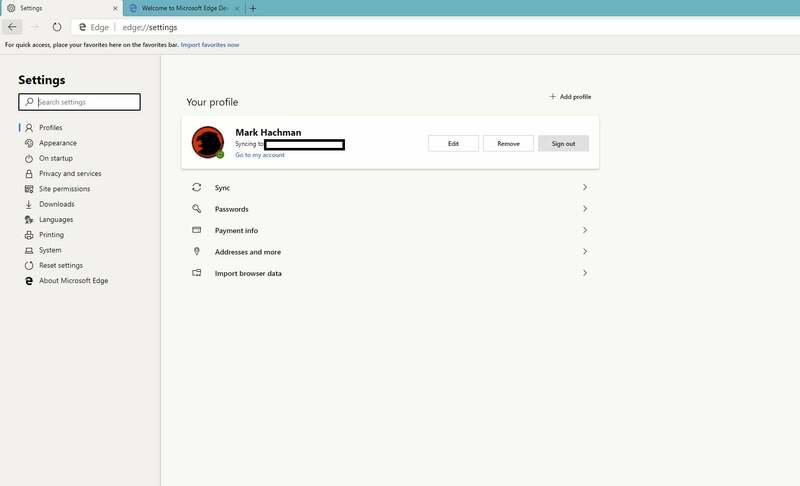 You won't see many features yet, in other words, but Belfiore says you will see “subtle design finishes, support for a broader selection of extensions and the ability to manage your sign-in profile,” Belfiore wrote. One of the most noticeable differences between the “old” and “new” Edge is in the Settings menu, which looks much more like Chrome. The new browser will be made available in both Canary (daily) and Developer (weekly) builds, with a full-fledged beta coming later. Belfiore invited user feedback, too: “The more you use early builds and give us feedback, the better we can make the final product,” he wrote. What this means to you: There’s no reason to replace Google Chrome or any other browser with this new version quite yet. But if you’re a member of the Windows Insider program or other betas, the new Edge browser is free to try out. Bugs should be expected, however, so leave the important work for a stable browser.